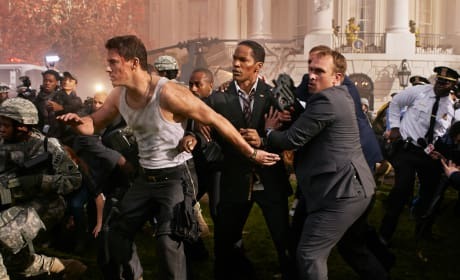 Jamie Foxx and Channing Tatum have quite a chemistry in White House Down. Our White House Down review finds that their pairing is the best thing the film has going for it. White House Down stars Channing Tatum and Jamie Foxx talk about the fun they had trashing the White House. 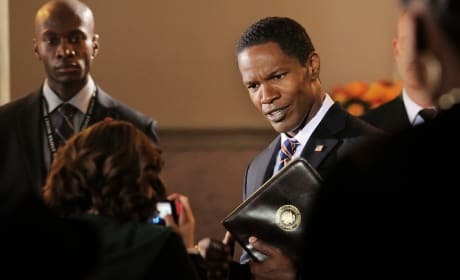 Foxx plays President and Tatum stars as the man who is in the right place at the right time to save him. The first clip from White House Down has arrived. Channing Tatum and Jamie Foxx star in the action movie. There's a new extended trailer for White House Down. The action film stars Channing Tatum and Jamie Foxx. 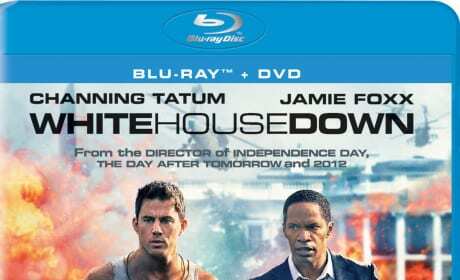 A new featurette for White House Down has dropped! Channing Tatum and Jamie Foxx star in the upcoming action film. The theatrical trailer for White House Down is here. Channing Tatum and Jamie Foxx star in the action thriller. 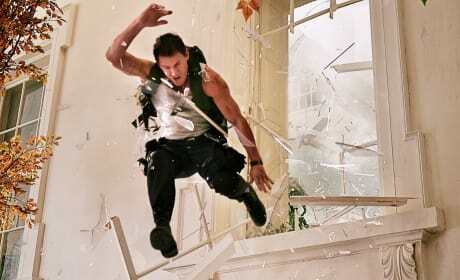 A bunch of new stills from White House Down have dropped. Channing Tatum and Jamie Foxx star in the action thriller. White House Down Trailer: We Gotta Go! The first trailer is here for White House Down. Channing Tatum and Jamie Foxx star in the action thriller. 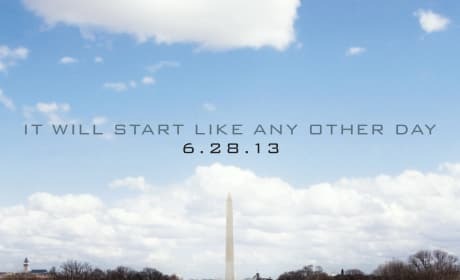 Check out the first teaser poster for White House Down. Channing Tatum and Jamie Foxx star. 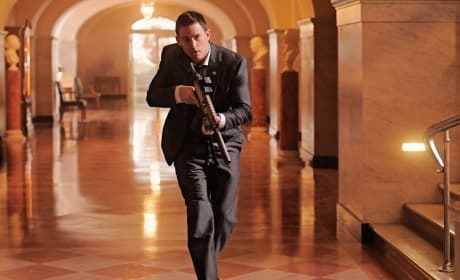 Seven new stills have dropped for White House Down. Jamie Foxx and Channing Tatum star. White House Down, an upcoming political action thriller, is set to add Maggie Gyllenhaal to its cast. Gyllenhaal will play a secret service agent in the film, which opens in 2013. 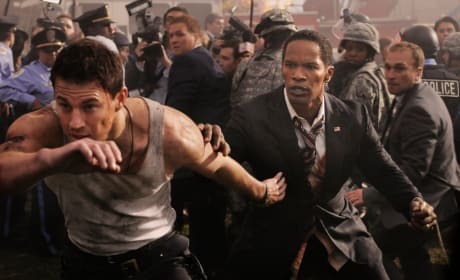 White House Down stars Jamie Foxx and Channing Tatum in a buddy comedy disguised as an attack on the White House movie. James Woods and Maggie Gyllenhaal also star in the movie that is from director Roland Emmerich.